Fuels and lubricants are extremely important in the maritime sector. As opposed to many land-based operations, lacking the proper oils or lubricants will not only cause a massive delay in transporting goods and services, but it could very well lead to a potentially dangerous maritime situation. 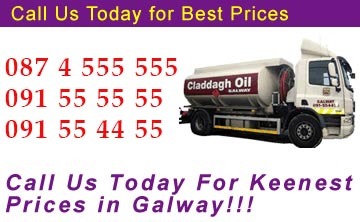 At Claddagh Oil, we take our role as one of the leading suppliers of marine oils very seriously. By providing timely delivery and a choice of different oils, our aim is to be able to accommodate the unique demands of our customers within this critical sector. So, let us take a closer look at some of the services that we currently offer to the Irish marine industry. One of the most important advantages of the marine oils that we supply is that by their very nature, they are not conducive to combustion or explosions. Due to the chemical makeup of these oils, they are much safer than petrol and other fuels. This is indeed critical, for a boat fire can cause an immense amount of damage and loss of property or product. One of the reasons why Claddagh Oil serves a growing number of maritime clients is the fact that we model our services around the unique needs of each client. We are perfectly aware that commercial marine services will have an entirely different set of needs than a man who wishes to take his son on a fishing trip. For this reason, we provide all of our clientele with a nearly unheard-of six days of service per week. Additionally, our on-demand approach will allow many of our clients to place an order and expect delivery on the very same day. This is critical when an unexpected trip may suddenly become a reality or a final shipment needs to arrive at a certain destination ahead of schedule. As it currently stands, fuel oil and its associated marine derivatives is one of the most plentiful sources of energy in the world. Therefore, it is quite amenably priced. This will further contribute to savings for both large and small companies. As less fuel is required to burn, lower consumption rates equate to less money spent and from an environmental standpoint, this is an excellent way to further reduce greenhouse gas emissions. At Claddagh oil, our aim is to provide all of our maritime customers with a second-to-none synergy of efficiency and cost savings. As we are keenly aware of the demands placed upon the timely and safe delivery of these fuels, we continue to enjoy a burgeoning customer base. Should you have any questions or enquiries in regards to the services that we provide, please feel free to contact us at 091 55 55 55.